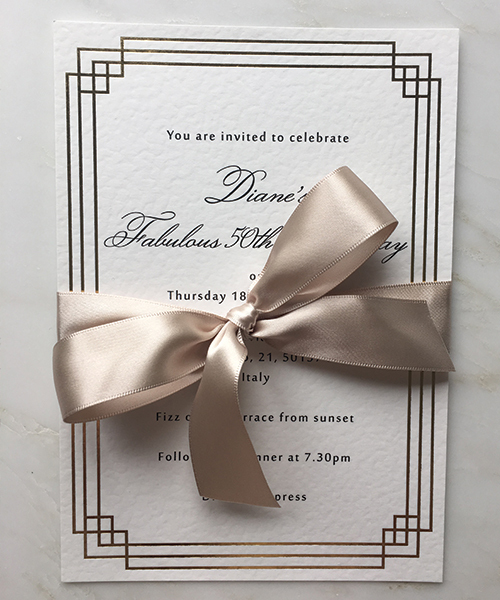 Art Deco Gold Foiled Border Invitation in A6 size. 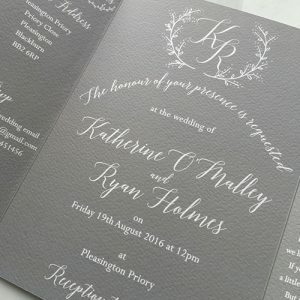 Metallic foil and digital printed onto 300gsm luxury textured ivory card. 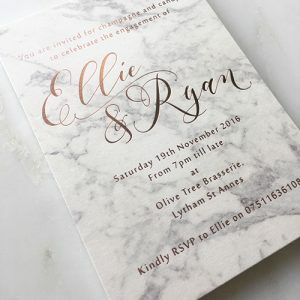 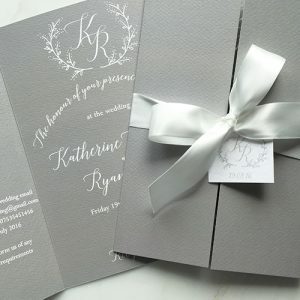 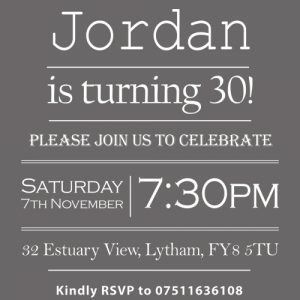 Suitable for Wedding or Party invitations. 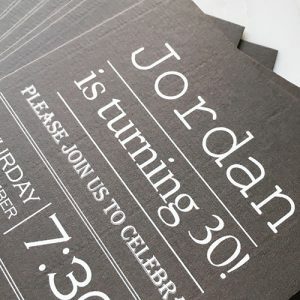 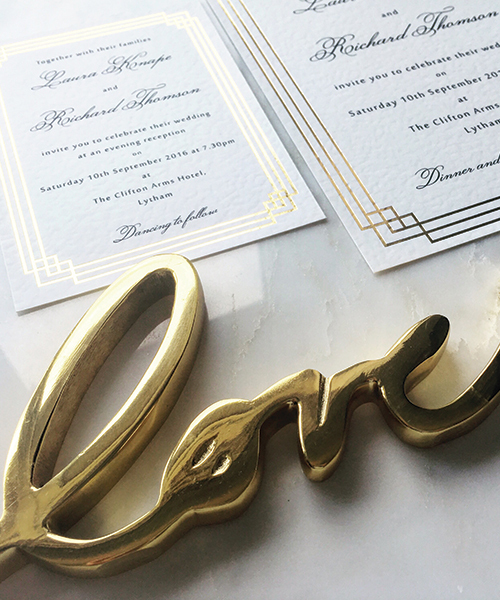 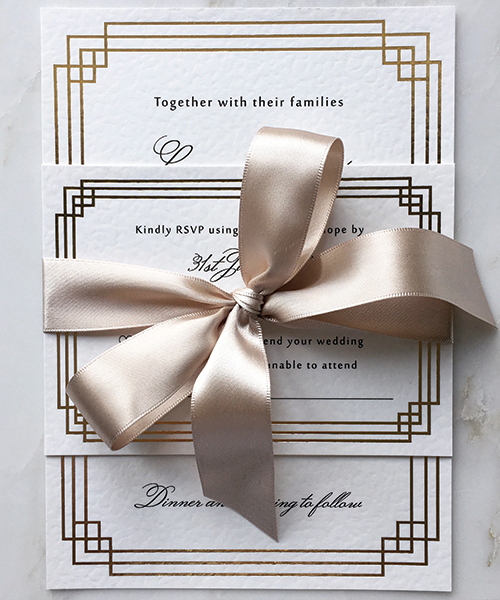 Art Deco Gold Foiled Border Invitations in A6 size.